The Haier Watch has been revealed at Mobile World Congress with a lovely looking metal body that's reminiscent of the Moto 360. We knew something would be released beforehand but surprisingly, the Haier Watch is much sleeker than expected, and a far more affordable ticket to the wearable tech party than many of its rivals. The round 1.4-inch, 400×400, display sits in a 42mm stainless steel casing that will come in gold, black and silver. Opting for Bluetooth and not Wi-Fi or NFC, there'll be 8GB of internal storage for apps and music, where the latter feature doesn't need to be connected to a phone. There's also a microphone onboard so you can take calls from the wrist. Though it looks like it's all business, there's fitness functions at the ready. Heart rate tracking is built in as well as activity tracking. Similar to the Fitbit Charge HR and Fitbit Surge, the Haier Watch is promising tracking through auto-recognition of various exercises - but the activities haven't been specified yet. It's also IP56 rated, meaning water projected from powerful jets against the enclosure from any direction shouldn't have harmful effects. It's also relatively dust-proof but ingress of dust if not entirely prevented. 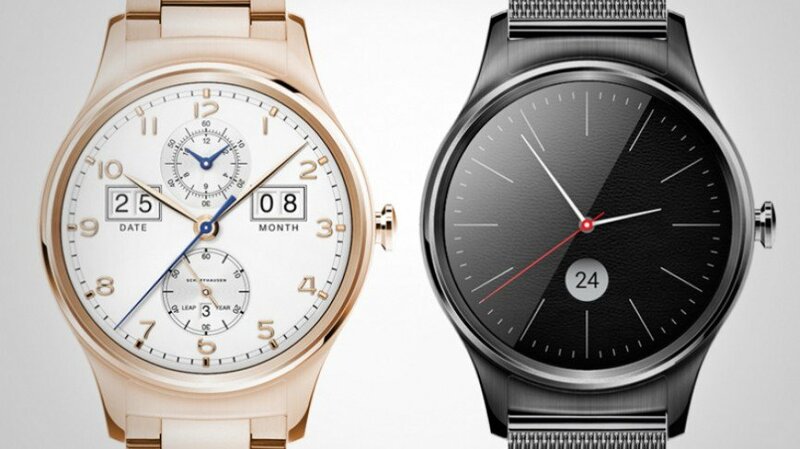 Coming in at just €200, the Haier Watch will offer full Android Marshmallow when it lands some time in April. It's unclear whether the Watch will launch for the US market. Haier has made other wearables for children and the elderly but the Watch is the first aimed at the general user, and we have to say, it doesn't look too shabby.